Explore the world of luxury traveling! Here at Sanwin Beachwear, we love nothing more than jetting off to beautiful and exotic locations, to explore flawless beaches and lose ourselves in far-flung destinations. And while we never fail to enjoy our holidays when we’re there, we’ve got a lot of love for the act of flying in itself… especially when you splash out a little, and book yourself into first or business class. As anyone who has hopped between European capitals with a budget airline - cramped in a tiny seat, and offered little to eat except a selection of sad looking, rubbery sandwiches - will only be too happy to tell you, not all air travel providers are created equal. 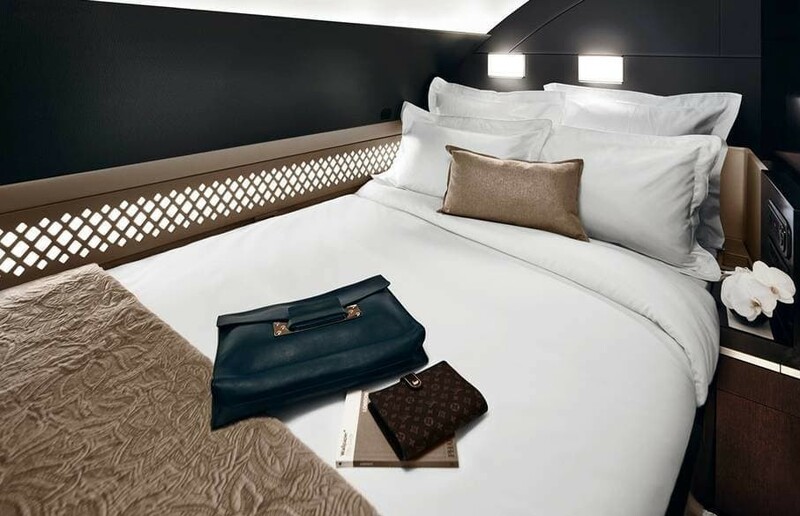 As the luxury market continues to boom, top-end airlines are ferociously competing with one another to provide the most extravagant and decadent in-flight extras and experiences. Technological advances and the ever-growing demands of elite customers have made the exclusive even more so, meaning that if you travel first class today, you can expect to be pampered like never before. While first and business class tickets aren’t cheap, we feel they’re generally well worth the money. After all, to fly this way is an experience in itself. We’ve put together a quick guide, highlighting the creme de la creme in the world of first class travel and helping you find the best first class airline for your needs. Happy landings! Airports can be difficult places. They’re busy, noisy, and often massively stressful. No matter how chilled out you might be, no matter how well organised you’ve been before you arrive or however carefully you’ve packed, there’s always someone shouting, arguing or rushing around you. 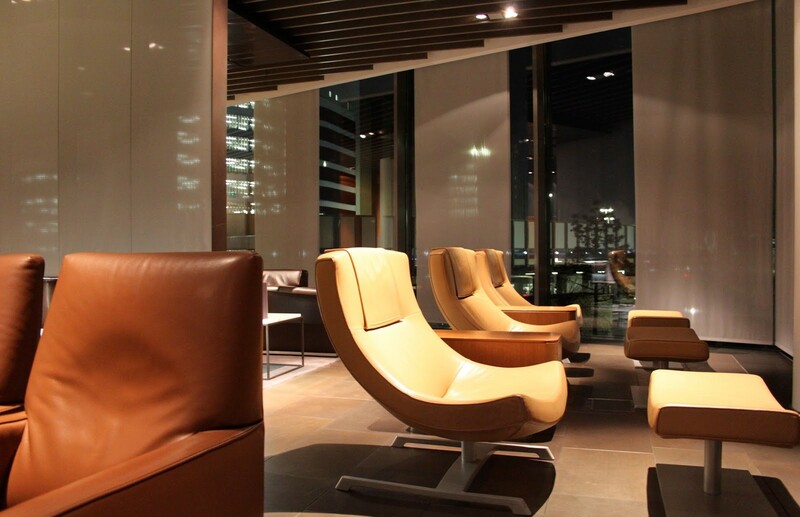 Nobody on earth enjoys going through security checks, or dealing with the hustle and bustle of the crowds… so thank goodness for luxury airport lounges. These come in all shapes and sizes, with a dazzling array of different features and services on offer. 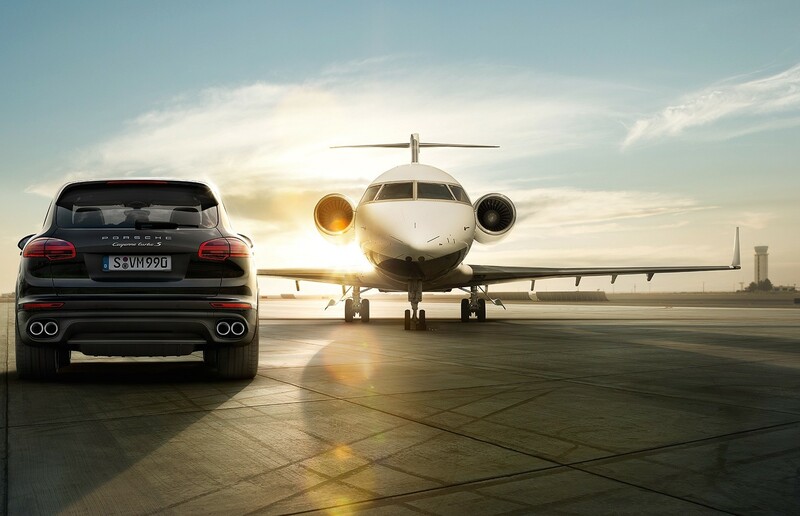 When it comes to luxury, beauty and sophistication, though, a handful sit head and shoulders above the rest. Our personal favourites? For sheer class alone, the Qantas First Class Lounge in Sydney is everything you might expect from this luxurious Australian brand, with an architecturally spectacular design, an amazing pan-Asian restaurant and an utterly stunning spa to ensure your stay in the airport is anything but stressful. Also topping our list is the great example of European charm and efficiency found at the Lufthansa First Class Terminal, Frankfurt. A fine cigar lounge, a water bar, a superb German restaurant with some excellent wines on offer ensure you all going to be fully refreshed, and they’ll even drive you to your plane in a top of the range Mercedes or Porsche, too. For some people, the stress doesn’t end at the airport. Flying can be a worrying experience, too… but not for those who seek out the very best when it comes to luxury travel relaxation services. This is an area of the industry which has boomed over the past three or four years, due to the fact that the public interest in wellness and spa treatments has massively increased. Thai Airlines has got this down to a fine art. Their motto is ‘Fly Sabai’ - meaning ‘healthy mind and body’ in Thai, and with a wide range of superb massage and beauty treatments on offer from their host of highly skilled practitioners, you’ll be feeling better than ever at 30,000 feet. The other luxury airline that really makes a bold impression when it comes to spa services in the air is Emirates - an airline now synonymous with luxury - which really goes above and beyond when it comes to pampering their business class travelers. 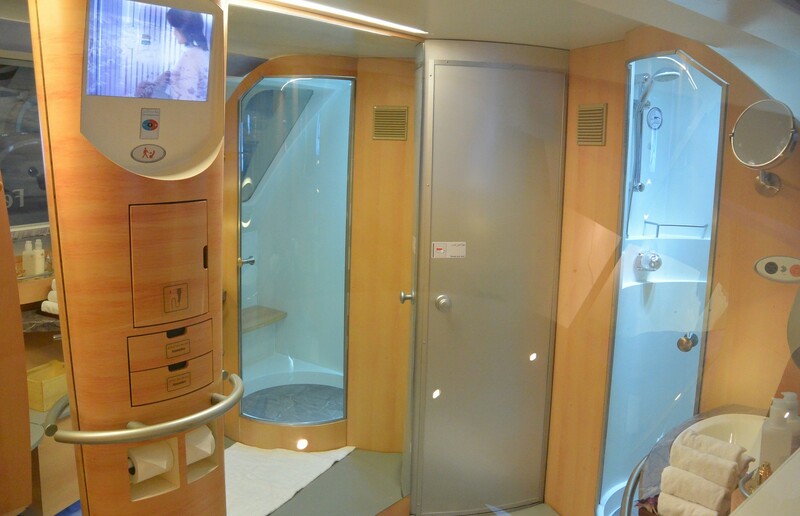 Those lucky enough to experience Emirates’ exclusive services will receive their ‘shower spa’ experience: in the shower itself, the luxury airline provides Bulgari toiletries, Timeless branded spa products, and a range of ‘detox juices’ perfect for replenishing your energy levels onboard! Remember when airplane food was a by-word for disgusting, inedible rubbish? For business class luxury travelers, those days are long gone. Fine food and wine are one of the main features of many luxury airlines nowadays, and almost all high end flights boast an onboard chef, providing their customers with a range of culinary delights featuring rare and wonderful ingredients. 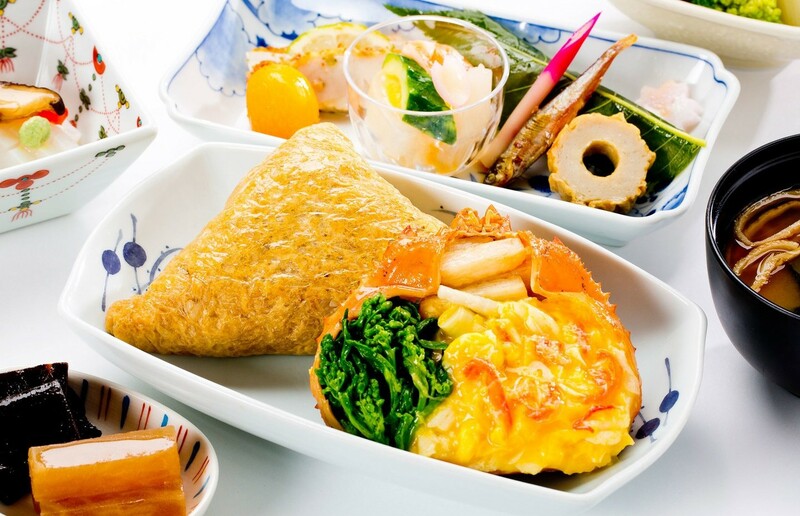 It’s not easy to pick out which airlines offer the best food and drink, but Japanese airline ANA’s menu impressed us so much, we thought it was well worth a special mention. Their range of classical Japanese dishes, rare and valuable Sakes, an incredible looking tasting menu of twelve dishes, and pastries prepared by the kitchen of Pierre Hermé (winner of the World’s Best Pastry Chef award) makes this a luxury dining experience that would be hard to beat. Also up there among the elite when it comes to gastronomy is JetBlue. Their fresh, innovative and thoroughly modern approach to airline food is quite unlike anything else in the sky, and their wine list is arguably the best in the world for those looking for a tipple above the clouds. For most of us, the idea of luxury in the air revolves around one key thing: space. If you’ve paid for a business class ticket, you sure as hell want to be able to stretch your legs, and if you’re travelling transatlantic or transpacific (or any other long haul flight), getting a decent night’s sleep is high on everyone’s list of priorities. Whether you want to be tucked into a soft bed in order to watch a movie, or just drift off into dreamland, certain airlines are really pushing the boat out in this regard. Singapore Airlines massively excels when it comes to beds on board. Their massive 35” x 82” mattresses are bigger than many people’s beds at home, and they even feature a mattress topper to make them extra comfy. With enhanced privacy, access to a mini bar and an entertainment system, you won’t want to leave! 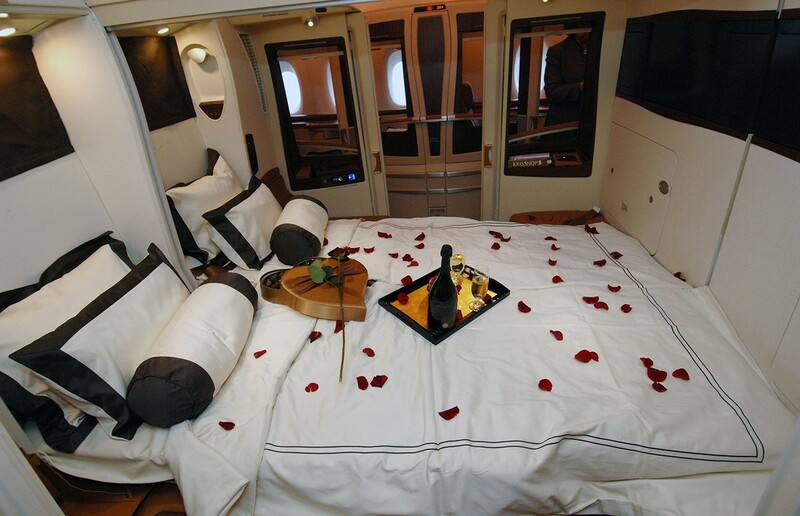 No discussion on airline beds can pass without mention of Etihad Airways, either. Business class customers on this luxury airline don’t just get an extremely comfy bed, they also have access to an en-suite bathroom in their private pod, a walnut wood panelled private cabin, a state-of-the-art entertainment system and a branded bathrobe in which to relax like a rockstar. If you've had a great experience of top-class travel, we'd love to hear from you! Which luxury airlines have we missed? Which hidden gems do we have to check out next time we're jetting off? Which airline really gets your holidays off to the best possible start? Let us know in the comments below!